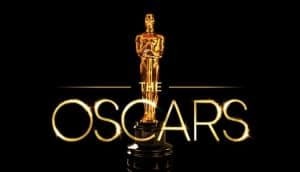 Oscar Winner Predictions 2018: Phantom Thread, Jordan Peele, & More | Nerd Much? The 90th Oscars ceremony will air on March 4, 2018, with host Jimmy Kimmel making his return. 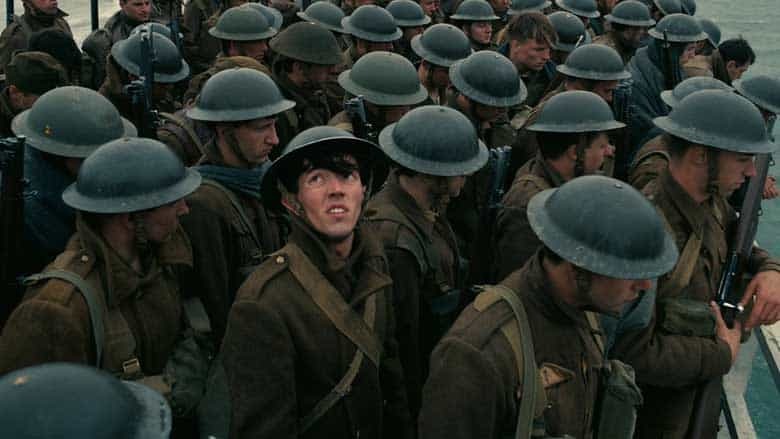 The nominations list for this year’s awards was officially unveiled earlier this week, and there’s certainly some stiff competition. 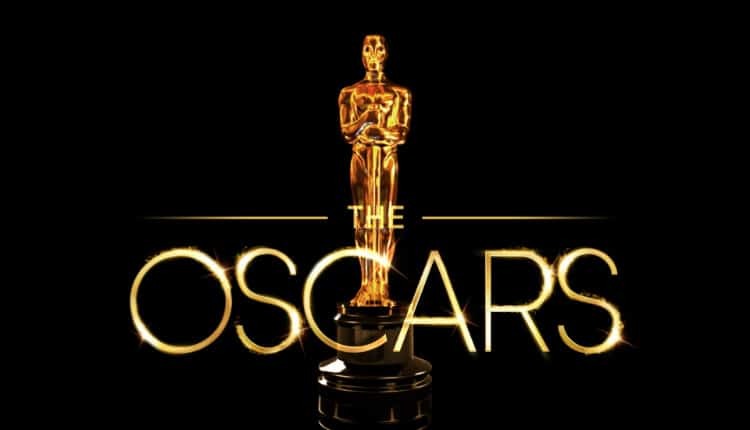 While there were some notable snubs for major categories, it’s great to see more genre-breaking films like Get Out and The Shape of Water obtain recognition. Picking who the winner is this year will certainly be tricky, as there is no single film that pulls out way ahead of the others. The Phantom Thread is a thunderous film that revolves around the life of dressmaker Reynolds Woodcock. Hauntingly beautiful, watching the relationship between Woodcock and a young woman unfold is mesmerizing. This is thanks not only to the wonderful cinematography but a great performance by Daniel Day-Lewis. While all of the films on this have a strong chance, the Phantom Thread is a near perfect blend of every aspect when it comes to making a movie. Peele’s directorial debut is one of the best horror movies to release in years. Shattering both expectations and the genre itself, Get Out is lightning striking on a clear day, and it’s going to be on numerous lists of Oscar 2018 favorites. There’s a fantastic level of subversion on display that consistently ramps up the tension and unease. It’s clear Peele has a unique eye for this genre, as his mix of horror and comedy is almost perfect. Backing this is fantastic performances and a wonderful script that allows its characters to breath. We have little doubt that Pelle is the frontrunner for this award. 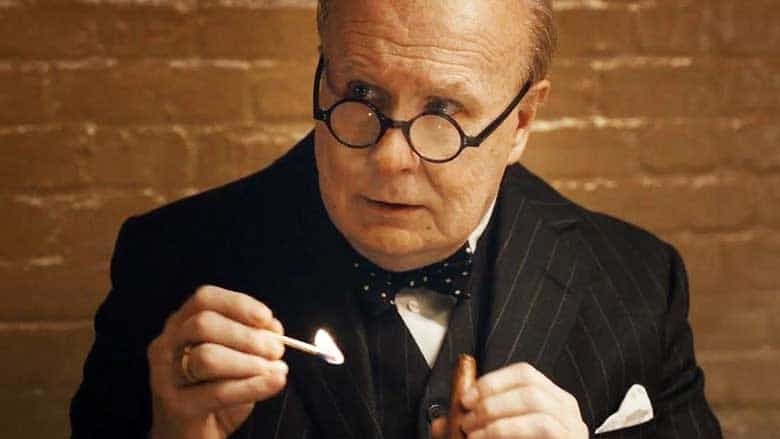 If we went back in time, stole Winston Churchill and replaced him with Gary Oldman not a single person would notice. Oldman disappears into the role and provides one of the best depictions of a historical figure since Daniel Day-Lewis’ Abraham Lincoln. It’s remarkable how absorbed into the role Oldman becomes, offering some great subtle ticks and moments that feel natural. He is the driving force behind the Darkest Hour and is unquestionably one of the best performances of the year. Okay, we aren’t playing it safe with this prediction, but we genuinely believe Hawkins has a real shot at Best Actress. While Ronan and McDormand both gave amazing performances, Hawkins mute Elisa was a revelation. Playing a character with a disability is always tricky, but the level of emotion and heartbreak that Sally displays is beautiful. You cannot help but fall in love with Elisa and root for her from the moment you meet her. Her relationship with her neighbor and the sea monster is captivating, especially as the film progresses. Despite being in one of the weirdest movies of the year, we are confident Hawkins has a high chance of taking the award home. Say what you will about the actual message that Three Billboards Outside Ebbing, Missouri gives, but Sam Rockwell gave a strong performance. Acting as both a foil and sympathetic character, the racist cop is a more than a collection of blue-collar cliches. It’s amazing how much energy and emotion Rockwell squeezes out of his Deputy. Instead of simply embracing the evil, he tries to find a nice nuance to not only his beliefs but why he is so bitter at the world. Sure, his views are completely backwards, but there is something mesmerizing about his performance. 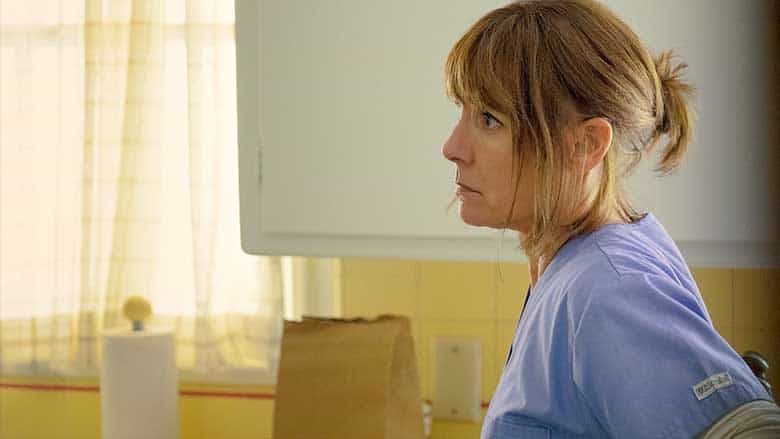 There has been a lot of talk about Lady Bird and a large amount of that is thanks to the great performance by Laurie Metcalf. Playing a mother at odds with their child is nothing new, but Metcalf’s Marion is terrifyingly relatable. She’s both grounded and worn down by the relentless independence of her daughter. Its harrowing and certainly takes over every scene she is in. Metcalf is certainly the frontrunner in this category and after watching Lady Bird it’s obvious why. Loving Vincent is the type of animated feature we may never see again. A documentary about Vincent Van Gough, the entire film is a masterful tribute to this iconic artist. However, what sets it apart is every single frame of this movie is painted in Vincent’s iconic style. Even though the actual quality of the film might not stand up to the likes of Coco, Loving Vincent is mesmerizing to watch. We fully believe that this movie will win due to its unique art style and the sheer amount of insanity it takes to make a film like this. As much as I would love Logan to win, The Disaster Artist is certainly the frontrunner in this category. Whatever you think about Tommy Wiseau, there is no doubting how fascinating of a character he is. From his odd accent, seemingly endless wealth, and refusal to admit where he’s really from, Wiseau has always been an enigma within the film industry. The Disaster Artist is a fantastic adaptation of a book that chronicles Wiseau’s famous moments directing The Room. Franco and company have delivered a rock solid movie that offers just as many laughs as it does dramatic moments. It’s a generally solid film that will have many questioning why Franco wasn’t nominated for Best Actor. While every film here could easily take this award home, we are putting our money behind Get Out. A wonderful horror movie that has a lot more to say than how terrifying the prospect of hypnosis is. Blending politics and cultural criticism, Get Out is a smart horror film that isn’t afraid to challenges its viewer’s perceptions. Unlike the other films listed in this category, Get Out will become a staple of how to tell a story in the horror genre. 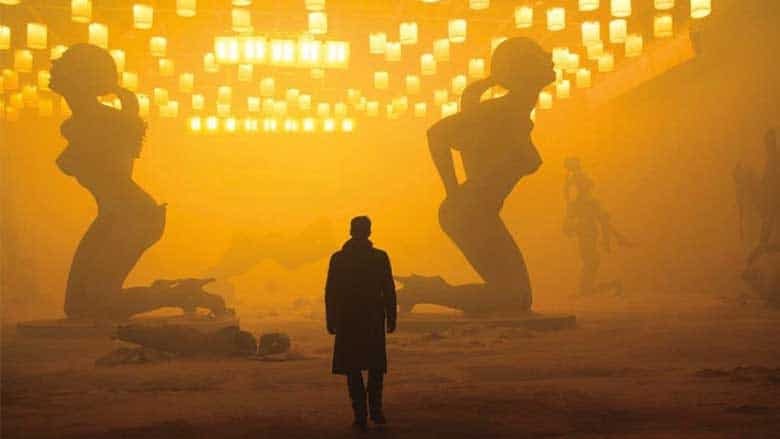 Despite a rather mixed reception from fans and critics, Blade Runner 2049 certainly had the best cinematography of the year. This film is jaw-droppingly gorgeous thanks to the wonderful use of color and lighting. There is something haunting about this world that always leaves a sense of foreboding dread with the viewer. Roger Deakins did a remarkable job bringing this world to life and it’d be surprising if he didn’t receive an award for his work.